Daughter Ali is getting married to a great fellow next fall – thankful for that, too. I have always loved Thanksgiving. It’s the Super Bowl of meals for those of us who love to cook and spend time in the kitchen. Ask me about my favorite part of the holiday, however, and I won’t tell you that it’s the meal, the time off, or even – heaven forbid – the pie. For me, it’s the opportunity to reflect on, and give thanks for, the really important things in life – things that are so easy to lose sight of in this distracted, fast-paced world we live in. If you’ve been following my posts, you already know that I have much to be grateful for this year: there’s nothing like bouncing back from a serious health scare to ratchet up the gratitude. Allow me to share some more of my gratitude with you. -I’m grateful for my beloved parents, Warren and Muriel. Time and miles often erode family ties, but they raised seven children who remain close to this day. They taught us the simple pleasure of a good book, the value of hard work, how to laugh, and why only a moron would hold a lit firecracker in his hand. -I’m grateful for my siblings. You’ve heard the expression that God gives us friends to make up for our relatives? Well, sometimes He gives us siblings that are like best friends, and I’m so fortunate. Wouldn’t change a thing about any of them, almost. 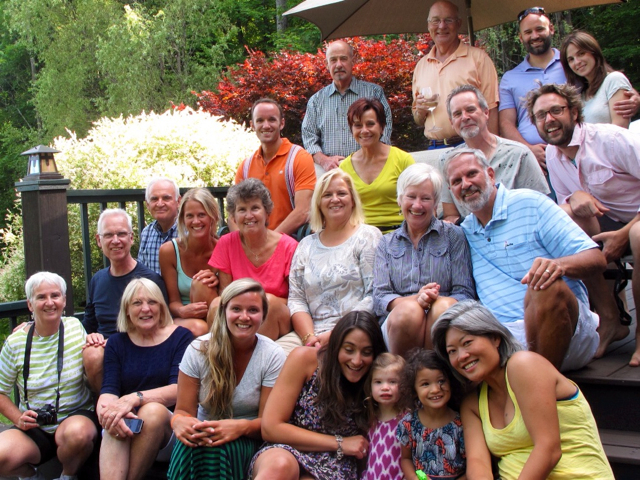 The Haedrich sibs and in-laws…and that’s not even all of us. -I’m grateful for my four children. I’d be even more grateful if a couple of them called more often. You know who you are. -Talk about giving thanks: I’m really grateful for my health. Last Thanksgiving could have been my last had it not been for the quick action of my local first responders and the CCU team at the New Hanover Regional Medical Center here in Wilmington. Y’all know this means free pie for life, don’t you? 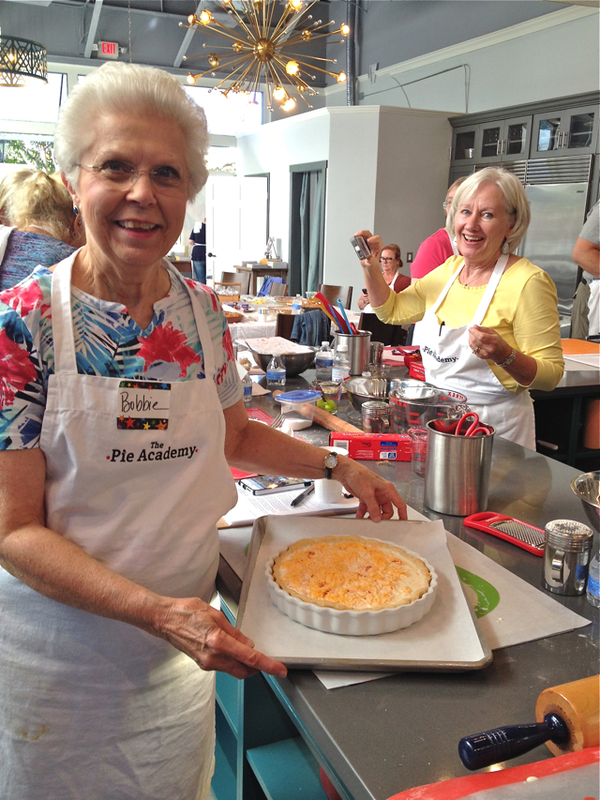 -I’m grateful for our annual Lowcountry Pie Getaway, and for those of you who attend. 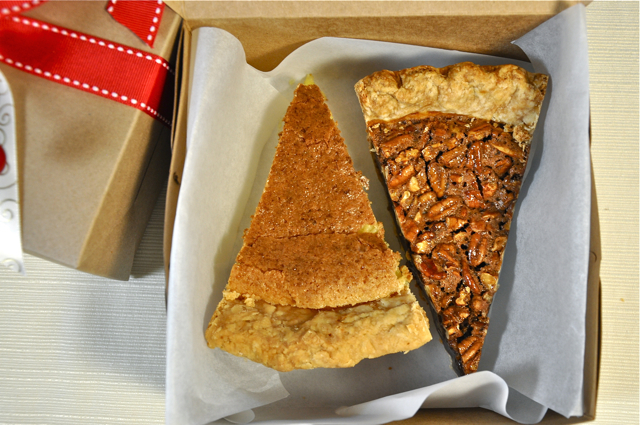 You brave the weather, TSA agents, and play hooky from work to come bake pies with us each October in Charleston, SC. We work hard, we play hard, and become like family in one too-short weekend. -I’m grateful for my work. Noel Coward said work is more fun than fun, and I’m with him. This doesn’t always sit well with my wife Bev, who would sometimes like me to think about or do something else – but I love my work. I don’t love all aspects of it equally; actually being in the kitchen cooking and baking is the best part. But I’m blessed to have a career that still excites me after 40 years. -Speaking of my wife Bev, I’m so grateful for her. She’s the spring in my step, the spice in my life, and a satellite of reason and order in my sometimes chaotic orbit. Even when she sighs and says I married a ten year old, I know she really means a twelve year old. 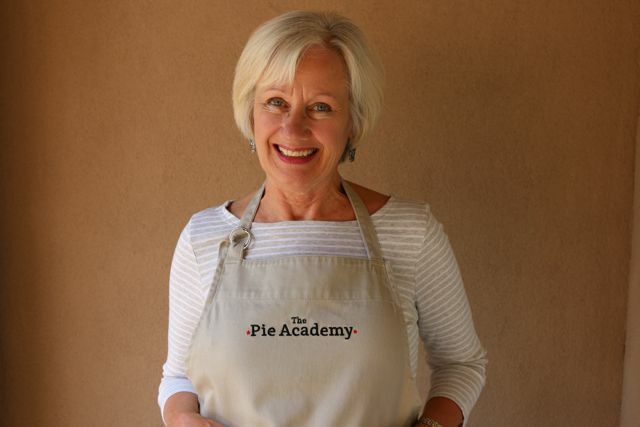 Bev sporting a Pie Academy apron. -I’m grateful for the peacemakers in the world, the holy men and women, poets, politicians, philosophers, aid workers, military leaders, law enforcement officers, goodwill ambassadors, and the stranger you pass on the street who gives you a warm smile. Ours is a big, diverse, complex, and too-often divided world and I’m grateful for all who try to rise above the rhetoric of division and make room for others. -Last but not least, I’m grateful for you. You email me with your questions, share your stories and your appreciation for my decades’ worth of articles, cookbooks, and this website. You support us with your purchases through our online store. I get to meet some of you at our Lowcountry Pie Getaway, and it’s easy to imagine that I’d love all of you as much as I do the good folks who show up. If you saw our previous post, then you know that we’re offering a special deal – $10 max for shipping and handling – through November when you order at least $35 worth of merchandise from our online store. Thanks to the many of you who’ve already taken advantage of this great deal. 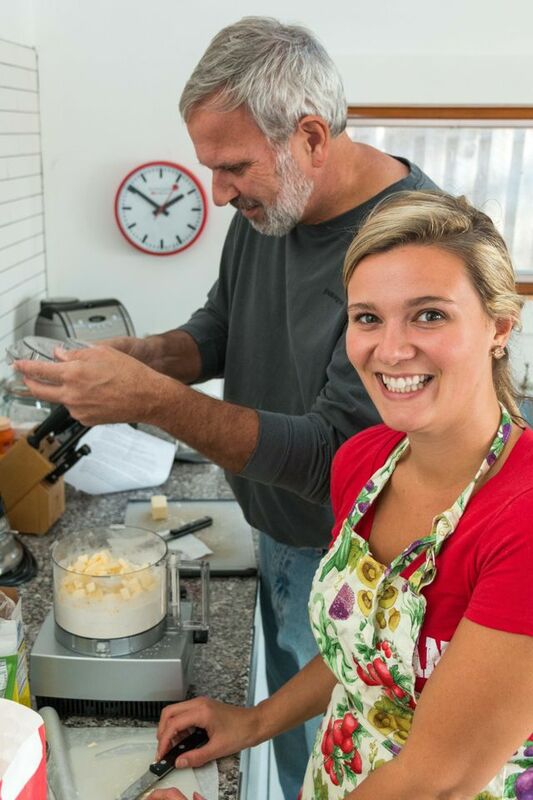 That’s right – just in time for your holiday shopping, you can stock up on my cookbooks, Pie Academy rolling pins, our popular pie boxes and more, and all you pay is a flat $10 for standard shipping and handling. Remember, if you’re ordering cookbooks and you’d like Ken to inscribe them, please include the information in the note section when you complete your checkout. This is a great way to avoid the crowds and post-Thanksgiving holiday shopping madness. Thanks. 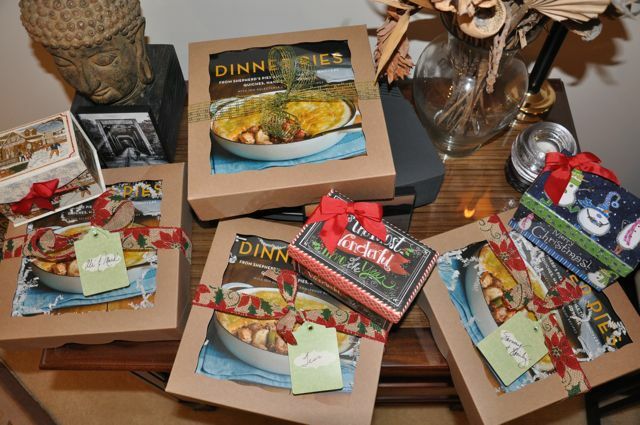 Our 10″x10″ pie boxes with clear cellophane lids, with a copy of Ken’s latest book – Dinner Pies.